By Dr. Bob Lyons, Ph.D.
By the time you read this letter, I suspect that concerns about the state's budget shortfall will have been resolved; at least I hope so. I had always planned to talk about our own financial "background noise," but doing so within the unexpected backdrop of the state's breaking budget news makes it even more timely. Within the span of several months, I outlined the JCRA's budgets, positions, and long-range picture in presentations to our staff, the Department of Horticultural Science, our Board of Advisors, and our Friends group. 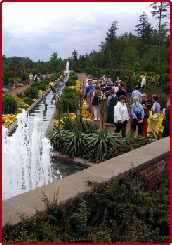 If you missed it, this presentation can be viewed on our Web site <www.ncsu.edu/jcraulstonarboretum>. A significant message coming from those presentations is that most of our finances are derived from private sources.....mainly YOU, our members. Through your annual dues and donations I'm able to maintain a "soft money" salary budget of about $95,000.00/year, pretty impressive – I think. When there is talk of state budget retrenchment, many of our staff positions are immune, however, our operations would not necessarily be so. For example, we do share a secretary with other departmental faculty members, a position that is currently held temporarily by Elizabeth Abrams following Sandie Holdan's departure. We have not been given permission to hire a permanent person, but I'm optimistic we will be. However, should that position be "lost," our operations would be seriously impaired. In essence, we do have to rely on state budgets, primarily from an operational perspective, and several of us, myself included, are on hard money positions from the state. Bottom line, the JCRA is part of one of the finest state university systems in the country. Supporting the universities means supporting the JCRA, so please remember that as you filter through the rhetoric and the politics! I am absolutely delighted to report about another greatly successful Gala event! This year's overall net revenues were, as of this writing, $42,800.00. As planned, we will split that figure to support our development efforts ($20,000.00), provide seed money for next year's Gala ($2,800.00), immediately support our general operations ($10,000.00), and formally kick-off our new JC Raulston Arboretum Endowment to the tune of $10,000.00. This will be supplemented by several endowment-specific donations that came in just prior to the Gala. Endowments are cool.....they are security blankets for the future, and getting ours going is a major step towards securing our future. Being able to move one or more position salaries off soft money and onto the predictability of endowment income is where we want to be. We hosted over 100 tours last fiscal year, but few can compare to the recent hosting of the American Hosta Society which took place in mid-June. Over 400 folks converged on the JCRA for an evening supper and self-guided and guided tours. During the day we were pelted with on and off hurricane-like rains, but it cleared up as if on cue as the nine, yes nine, buses rounded the corner. It was a great opportunity to showcase the JCRA to people from all over the U.S. and gain new members, even if the ground was a bit soggy. Each visitor received a specially designed "hosta map" of our collections, and specific hostas were visibly tagged throughout the JCRA. These tags and the self-guided tour map will remain available for some time. On the programs front, you have no doubt gotten the word that we've assembled one incredible symposium for September 28 & 29, 2001. The speakers are nothing short of cutting edge plant mavens, highly respected, accomplished, and enthusiastic by any standards! You will walk away digesting their comments for weeks afterwards. Whether you're into woody, herbaceous, hardy plants, or otherwise, this symposium is for you......and it will be a great way to celebrate our 25th year as an arboretum. Coupled with the event will be our "Moonlight" in the Garden, a display of garden lighting that mesmerized our visitors so much last year. "Moonlight" in the Garden will be part of the symposium ticket, but will also be a stand-alone event for those who cannot attend the symposium. As always, keep checking our Web site for unfolding details of any event at the JCRA. I'd like to formally welcome Frankie Fanelli, who has stepped in to fill our Volunteer Coordinator position while Nancy Margaret Brodd takes some time with her new baby. The spring volunteer trip to Daniel Stowe Botanical Garden <www.dsbg.org> was excellent. Frankie has hit the ground running and fits beautifully into our organization. She most recently created a new opportunity for our volunteers who wish to work in the evenings....they are helping out in our Annual Trials Area, keeping it weed-free, deadheaded, and in great shape. Frankie is not the only new person around here. In addition to Anne Calta and Jason Burris, we are also fortunate to have Sarah Lane and Cindy Lambert joining us. The NC Commercial Flower Growers Association has generously helped to support Cindy's position through a $1,000.00 contribution. Did you know that the fastest growing segment of the population in the Triangle area is people of Hispanic origin? Well, in addition to providing a Spanish language version of our Welcome Sheet, we've invited this group specifically to the JCRA through "El Festival del Jardin." With great help from the NCSU International Office, our own volunteers, and business leaders in the Hispanic community, July 14, 2001 was a special day, complete with bilingual tour guides. This is a brand new and important direction for our development and interpretive activities. And finally, I am delighted to mention (but I cannot imagine you haven't heard by now!) the resumption of our plant collecting and exploration efforts. Our Assistant Director, Todd Lasseigne, traveled to Japan and the Republic of Georgia this past summer. He was in Japan to give a talk to the Japanese Tree Growers Association, and then flew off to Georgia for several weeks of collecting with peers from other gardens in the U.S. You will hear more about Todd's travels, that's for sure. Watch our accessions change not only in sheer numbers but also in diversity and depth. This is exciting stuff and is right in keeping with our long-range plan. If Todd's e-mails are any a measure of his success, well, move to the edge of your seat! He not only returned with plants, but with untold goodwill of new found friends and allies in the plant world, which will benefit us for years to come, as we hope we will also be there for them. This trip was made possible through monies from the J.C. Raulston Distinguished Professorship, the North Carolina Association of Nurserymen, Bobby Ward, Chip Calloway, and a matching grant from CP&L.....kudos to you all! Whew, that's all for now, and not a word about the McSwain Education Center......so far, so good. Stay tuned! By Richard L. Harkess, Ph.D. The genus Rudbeckia consists of about 25 species of annual, biennial, or perennial herbaceous plants native to most of North America, except for the extreme northern and southern regions. Most species are concentrated east of the Rocky Mountains (Liberty Hyde Bailey Hortorium, 1976). This genus, a member of the Helianthus tribe within the Asteraceae, was named by Linneaus after father and son Swedish botanists Olaus and Johan Rudbeck (Gledhill, 1989; Kochankov and Chailakhyan, 1986). Rudbeckias are pollinated by insects and, in at least three species, the ultraviolet (UV) reflection patterns are different enough to allow for pollinator discrimination (Abrahamson and McCrea, 1977). There are at least two apomictic species, R. triloba and R. laciniata, while R. hirta is an obligate outbreeder (Abrahamson and McCrea, 1977). Little evidence of interspecific hybridization exists even though colonies of two or more species may frequently occur in close proximity to one another (Perdue, 1957). Rudbeckia hirta's inflorescence has a prominent central cone of disk florets, normally purplish black, with an outer ring of ray florets that are bright yellow or yellow with rust markings, giving rise to the common name "black-eyed Susan" or "coneflower." The stems and leaves are coarsely hairy. The species has been considered an annual, biennial, or short-lived perennial in the wild or garden, depending on location and genetic background. While native to North America, R. hirta is one of the most common species and is frequently observed throughout the world as a naturalized plant. 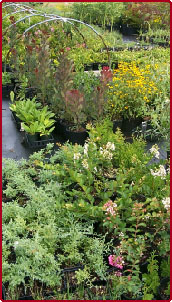 As cultivated plants, R. hirta selections have a non-uniform appearance; bloom from July through August; are not consistently available in the trade; and perform well in gardens, prepared wildflower meadow mixes, and as a species component of highway beautification projects. They make excellent cut flowers. For successful cultivation in the home garden, use well drained soils since moisture retentive media is their nemesis. Rudbeckia hirta should be on everyone's drought tolerant gardening list. Full sun is a must for optimal performance. It is likely that powdery mildew will invariably infest your plants by summer's end, but don't worry about it. What blemishing appears will be short-lived and will soon succumb to the impending frosts and freezing temperatures. The many known forms of R. hirta have led to an often confusing plethora of varietal names (Gray Herbarium, 1968). Okay, try to follow this trail: Clute (1913) reported one variation in ray floret coloration as a form of R. speciosa, then known as R. bicolor. The Gray Herbarium lists R. speciosa as a variety of R. fulgida, and R. bicolor as a variety of R. hirta (Gray Herbarium, 1968). 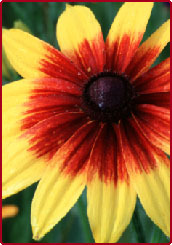 In his work with color variation in Rudbeckia, Clute (1913) divided the three main color forms into R. hirta var. bicolor, R. hirta var. rubra, and R. hirta var. annulata, yet he also concluded that these forms were unstable. Later, Clute (1924) reported that the form of R. hirta with a red blotch at the base of each ray floret was R. hirta var. pulcherrima, the same color form he previously listed as R. hirta var. bicolor. To further confuse the taxonomic listing of this species, Fernald and Schubert (1948) identified the species R. hirta var. pulcherrima as a varietal form of R. serotina. This conclusion was based on its strong tendency to sport, whereas R. hirta, originating from an older ecological region, was reportedly stable. Perdue (1957) reported R. bicolor to be synonymous with R. hirta var. pulcherrima as first listed by Farwell (1904). The Gray Herbarium later listed R. bicolor as a variety of R. hirta, separate from R. pulcherrima, and reduced R. serotina to a variety of R. hirta. Most recent classification places R. bicolor synonymous with R. hirta var. pulcherrima Farw. (Liberty Hyde Bailey Hortorium, 1976) or just R. hirta L. (Huxley et al., 1992), yet it is likely that all these plants are marketed today for ornamental use simply as R. hirta. As cultivated plants, R. hirta selections may be loosely distinguished based on three features: flowering plant height, ray floret color, and single vs. double inflorescences (number of ray florets). 'Becky', a true diminutive standout, is one of the shortest cultivars, growing no taller than 8 to 10 inches. Plant stature appears to be the main breeding objective in developing 'Becky', because its flower size is variable and inflorescence colors range from pure gold to heavily flushed with brown. 'Toto', on the other hand, is equally as short but reliably golden in flower color. Taller cultivars that reliably produce brown or maroon-marked golden flowers include, but are not limited to, 'Autumn Forest', 'Chim Chiminee', 'My Joy', 'Nutmeg', 'Sonora', 'Sputnik', 'Summer Light', 'Rustic Colors', and 'Rustic Dwarfs'. Unmarked, yellow-gold flowers are generally produced by 'Golden Daisy', 'Goldilocks', 'Marmalade', and 'Pinwheel', all of which exhibit some degree of doubleness. In this group, 'Goldilocks' is the shortest and is similar in size to 'Becky'. 'Double Gold' and 'Double Daisy' are largely what their names imply – monochromatic inflorescences composed of abundant ray florets, resulting in dramatic double flowers. One of the newer cultivars, 'Indian Summer', is a 1995 All-America Selections winner. Each 'Indian Summer' inflorescence reaches 6 to 8 inches in diameter and has golden-yellow rays and dark disk florets. The less than distinct difference among some R. hirta cultivars leads to the suspicion that some cultivars may be synonymous, depending on the seed source. 'Irish Eyes', however, is a uniquely beautiful cultivar that possesses a greenish, rather than brown, cone of disk florets. This trait has been incorporated into a bedding plant release of Sanvitalia procumbens Lam., also named 'Irish Eyes', and a close relative of the genus Rudbeckia. 'Gloriosa Daisy' and 'Double Gloriosa Daisy' are tetraploid strains tending to be more reliably perennial than other cultivars but still blooming the first year from seed as do their diploid counterparts. In the 1920s, the pioneering team of Garner and Allard (1925) first described R. hirta as a long-day (LD) plant. Simply put, this means that this plant will form its flowers best when the period of light in a single day photoperiod exceeds some critical number of hours. As reported by Murneek (1940) and Orvos and Lyons (1989), plant height in R. hirta can be controlled by photoperiodic manipulation of its bolting behavior. While in the vegetative stage, the species maintains a flat rosette (cluster) of leaves. The onset of flower initiation, however, is easily detected by a noticeable arching of the foliar canopy upward and away from the soil surface. The central stem elongates shortly thereafter and may eventually attain a length of 3 feet at the time of actual flowering, depending on the cultivar. Sensitivity to photoperiodic induction increases with age, with the peak sensitivity occurring after the plant has produced about 14 expanded leaves (Harkess and Lyons, 1993; Orvos and Lyons, 1989). This stage signifies maturity in R. hirta and at least 14 LDs are required for the plants to flower. On the more esoteric front, ecotype origin has a profound effect on the flowering response of R. hirta. Plants native to Texas are less dependent upon LD for flowering, while those from more northern latitudes are much more dependent upon LD to flower (Beckwith, 1991). Ecotypes from southern latitudes also flower earlier and have more leaves on shorter stems than ecotypes from northern latitudes. For several years, I've been talking about the great attributes of this plant for garden use. It is now showing up in seed catalogs in great abundance, in a wide variety of cultivars. Rudbeckia hirta is becoming more commonly seen in commercial landscape projects as well as in the inventories of garden centers. Its long lasting flowers will reward your interest! Abrahamson, W.G, and K.D. McCrea. 1977. Ultra-violet light reflection and absorption patterns in populations of Rudbeckia (Compositae). Rhodora 79:269–277. Beckwith, D.D. 1991. Characterization of juvenility and photoperiodic responses of Rudbeckia hirta originating from different latitudes. MS thesis, Virginia Polytechnic Inst. and State Univ., Blacksburg. Clute, W.N. 1913. The production of new forms in Rudbeckia. Amer. Bot. 19:131-134. Clute, W.N. 1924. Elementary species of Rudbeckia. Amer. Bot. 30: 158–159. Farwell, O.A. 1904. Contributions to the botany of Michigan. No. 8. Rpt. Mich. Acad. Sci. 6:200-214. Fernald, M.L. and B.G. Schubert. 1948. Studies of American types in British herbaria. Rhodora 50:149-176. Garner, W.W. and H.A. Allard. 1925. Localization of the response in plants to relative length of day and night. J. Agr. Res. 31:555–566. Gledhill, D. 1989. The names of plants. Cambridge University Press, Cambridge, U.K.
Gray Herbarium. 1968. Gray Herbarium index, Harvard University. Vol. 9. G.K. Hall and Co., Boston. Harkess, R.L. and R.E. Lyons. 1993. Anatomical changes in Rudbeckia hirta L. during transition to flowering. J. Amer. Soc. Hort. Sci. 118:835–839. Huxley, A., M. Griffiths, and M. Levy. 1992. The New Royal Horticultural Society dictionary of gardening. Vol. 4. Stockton Press, New York. p. 145-146. Kochankov, V. and M.Kh. Chailakhyan. 1986. Rudbeckia. p. 295-320. In: A. Halevy (ed.). CRC handbook of flowering. Vol. V. CRC Press, Boca Raton, Fla.
Liberty Hyde Bailey Hortorium. 1976. Hortus Third. Macmillan, New York. Murneek, A.E. 1940. Length of day and temperature effects in Rudbeckia. Bot. Gaz. 102:269–279. Orvos, A.R. and R.E. Lyons. 1989. Photoperiodic inhibition of stem elongation and flowering in Rudbeckia hirta 'Marmalade'. J. Amer. Soc. Hort. Sci. 114:219-222. Perdue, R.E. 1957. Synopsis of Rudbeckia subgenus Rudbeckia. Rhodora 59:293–299. Reprinted with permission, Amer. Soc. Hort. Science. Results of the propagation work at the Arboretum. It has been another busy spring and summer so far. I was able to take a 10-day vacation to Puerto Vallarta, Mexico, which just happened to occur the week before and during the Gala. I really appreciate Anne Calta and Jason Burris for taking care of the Arboretum and working during the Gala. They are wonderful helpers and allowed me to leave and not worry about the event. We have been successful with our transplantings from the construction site. So far only one Cercis (redbud) has died. Of course, we still have to get through the dry parts of the summer, this first year being critical. We mulched the Arboretum with leaf mulch this winter. We were fortunate to obtain 400 cubic yards from campus. Using leaf mulch in the beds is much better for the soil as it breaks down. I have found it holds the moisture in the soil better and keeps weeds down better than pine straw. We hope to get the City of Raleigh to dump their collected leaves on site this fall so we can compost our own. Bradley Holland and Christian Gibbs were backsavers in helping us spread out the mulch. We also used a new piece of equipment that several of the projects at the Horticulture Field Laboratory (HFL) contributed to buy to put out the mulch. 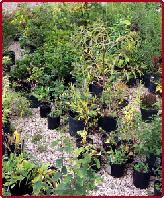 The late freeze we had in April damaged and killed a few newly planted shrubs and trees. We really hated to lose the Michelias that had been planted in the newly renovated crapemyrtle bed. The students and I have been sticking cuttings galore for the FOA Annual Plant Distribution and Connoisseur Plant program. We have been experimenting with softwood cuttings of some deciduous and evergreen trees, and are trying a different hormone formulation that Coor Farm Supply produces, C-Mone K+. Todd Lasseigne has me keeping better propagation records, knowing how much I like to use the computer, for better documentation of rooting results. Once again our favorite orange tabby, Milo, has hurt himself. He was limping on his left rear leg. The great folks at the Vet School and Kelly Ferris, DVM found he had destroyed the ligaments in his knee. So he was once again confined to a kennel for 6 weeks to heal. We went through this 3 years ago when he broke his leg. We took his kennel out into the garden during the day so he had some entertainment. He was a very good patient. Thanks to Carolyn Fagan for the use of the kennel. Keep up your rain dances so the Arboretum has plenty of rain this summer. European settlers first brought thyme to the United States to be used for culinary purposes. However, gardeners have been enticed to utilize thyme in landscaping because of its pungent aroma and the variety of textures, colors, and shapes. Thyme originates from the dry Mediterranean regions of Europe and North Africa and is of the mint family (Lamiaceae). There are many different varieties of thyme, all of which are edible. However, each variety has a different fragrance and taste. There are basically two types – upright and creeping. Thymus vulgaris, an upright thyme, having a large leaf size and being easier to harvest, is used more in cooking than the creeping selections which are primarily used for landscaping. Spreading or creeping thymes can be planted in cracks of paving stones, walls, and in pots. Leaves of thyme can be variegated, dark green, golden, and woolly or smooth in texture. Flowers range from white and light pink to rose and purple. In the South, thyme is a perennial and grows best in full sun to partial shade in soil that drains well. If the soil becomes too moist, root rot may occur. Thyme also grows best in a slightly alkaline soil. In a well drained clay pot, a mix of thymes adds rustic beauty to the garden and creeping thyme adds a nice undercover to potted tree shaped plants such as Laurus nobilis (bay). The best way to propagate thyme is by stem cuttings or dividing in fall or early spring. Plants grow 1 to 12 inches high and 4 to 12+ inches wide. To prevent thyme from becoming woody, regular light pruning starting in the spring is recommended. Thyme may be cut back to the ground in late winter if it becomes ragged and unshapely. For cooking purposes, harvest thyme leaves just before the plants bloom when the flavor is most intense. Dry the cuttings on paper towels or hang them in a loose bunch to dry. Strip the dried leaves from the stems and store in glass jars with lids; use the remaining woody stems on coals when grilling to add additional flavor to meats and vegetables. Thyme added to mayonnaise makes a good sandwich spread (2 tablespoons to 1 cup of mayonnaise) and herb butter made with thyme is delicious on vegetables, rice, potatoes, breads, and in sauces. Soups and roasted chicken are enhanced with a light flavoring of thyme. Thyme may be used as a substitute for salt and is great in an egg omelet along with chives and a soft cheese such as cream cheese or brie. Herbal research has been conducted in Germany for many years, resulting in the discovery of thyme as an expectorant and antispasmodic medicine used to treat bronchitis, coughs, and congestion. Thyme is also used to aid indigestion and has antiseptic and antioxidant properties. Thyme sprigs placed in closets and drawers will repel insects and moths. If you are an apiarist, you may want to plant thyme nearby, as it is a favorite bee plant. According to some vegetable gardeners you may want to plant thyme near eggplants, tomatoes, and potatoes to aid in their growth. Thyme is also used in living wreaths, which make wonderful gifts, especially when recipes are included. Culbertson, M. (ed.). 1994. Country home: Book of herbs. Meredith Books. Des Moines, IA. Greer, J. 1997. Southern living garden guide: Herbs. Oxmoor House, Inc. Birmingham, AL. Halloran, K. April, 2001. Healing garden: Never enough thyme. Organic Gardening, p.22. Hillier, M. 1996. The herb garden: Decorative ways to grow herbs in the garden. DK Publishing, Inc. New York, NY. Scoggins, B. 1992. The herb cookery. Father & Son Associates, Inc. Tallahassee, FL. The past 12 months have seen a great influx of new plants into the Arboretum. Some of these were displayed at our booth at the 2001 Green & Growin' Trade Show in Winston-Salem in January, with a great deal of interest being expressed. Suffice it to say there are many more coming. From my collecting trip in August 2000 to Oregon and Washington to acquisitions from southeastern U.S. nurseries on short trips to Alabama, Louisiana, South Carolina, and Texas, to exchange with arboreta and botanical gardens, our nursery pad growing areas are full. (See below!) Rest assured there are many more exciting plants to come. Stay tuned! Patsy Hopfenberg (left) eagerly waits to place a bid on a plant at the Gala auction. The song says "Butterflies are free," but at the 2001 Gala in the Garden they went for the low, low price of $5.00 – still a bargain. Gala chairperson Judi Grainger and her crackerjack crew of volunteers created a wonderful experience for the nearly 400 guests on Sunday afternoon, May 6, 2001. After registration and greetings by Director Bob Lyons, Judi and her husband Frank Grainger, and Ruby McSwain, the Gala guests stepped into the Klein-Pringle White Garden. There, members of the Raleigh Garden Club distributed the evening's programs. From there on, the pace of the evening really kicked up a notch. Delicious hors d'oeuvres were passed, the bartenders got to work in earnest, and the silent auction began. Bids were written and challenges made. Who'll get that 5-foot, 250-pound wooden penguin? What's that collection of hostas going for? Who's got the top bid on that B&B gift certificate? Whew! The bidding closed. Calculations were made. Those planning to stay only for the cocktail party lined up to pay while the dinner crowd strolled over to the dining tent. The decorations committee, under the leadership of Jane Hamlin and Ivey Robinson, created a wonderland of ferns, flowers, and butterflies. The colors were dazzling and the mood festive. Bob Lyons welcomed the dinner guests and introduced the auctioneer for the evening, Rufus Edmisten. The "creme de la creme" of the auction items had been saved for the live auction held during dinner. Items went quickly and everyone settled down for a wonderful dinner chosen by food committee chairman George York and created by the staff at Catering Works. After dessert and coffee, Rufus went back to work, auctioning off the final items. A well-fed and happy crowd strolled back through the garden, now shadowed by nightfall and lit by tiki torches. Another magical evening in the JC Raulston Arboretum. Won't you join us next year? The Gala in the Garden 2001 invitation won first place in the National Agricultural Alumni and Development Association's (NAADA) annual convention competition. The convention is held around the country on an annual basis – this year it was hosted by our very own NCSU College of Agricultural and Life Sciences Development Office. Congratulations to designer Patrice Cherry and Miles Wright. Frank Grainger – Fair Products, Inc.
Bricks and Chairs and Donations - Oh My! 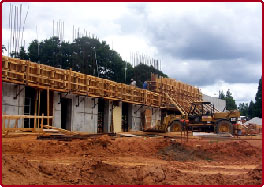 As everyone should know, the McSwain Education Center is underway and the contractor is giving us the very optimistic completion date of March 2002. Time is getting short for making a donation toward the building and its contents. Over the last few years we've had many fund-raising events and opportunities, but there are still various opportunities for those interested in supporting the construction and furnishing of this long awaited home for the staff, volunteers, and visitors to the JCRA. Many of you may not be in a position to accept one of the naming opportunities and we'd like to point out two ways you might like to consider. One of our most popular fund-raising endeavors has been the engraved bricks. For a donation of $100.00, you may have a brick paver engraved with the message of your choice and placed in the pedestrian walkway at the entrance of the Education Center. Another way to show your support to the Education Center is the contribution of $250.00 for the naming of a folding chair which will be used in the classrooms and auditorium. Imagine bringing your friends or family for a stroll through the JCRA and casually pointing out your brick, or taking a seat at one of our fantastic lectures and saying to your neighbor, "Oh, I see you're sitting in my chair. No, no, don't get up!" Becoming a part of the JCRA with an engraved brick or a named chair is an excellent way to commemorate a wedding, graduation, birthday, or to give a gift to yourself! Call Donna Walker at (919) 513-3826 for more information or to have a brick or chair order form sent to you. It's easy, it's quick, and it helps the Arboretum. What's stopping you? Call us! The 300-foot ramp leading to the Roof Terrace Garden will be flanked by a glorious border created by the designers of the Arboretum's existing perennial border. This facility will be the entrance to the gardens, as well as a display area for plants important to our neighbors in the warmer coastal Carolina climate. The Arboretum is supported by HFL staff and services. Tucked away in a non-public area, this facility is essential. This will be an efficient workspace for both staff and volunteers. All driving visitors will first see this lovely landscape feature of the Education Center. The entire Roof Terrace exhibits shallow bed gardening techniques important for urban gardens. The center of activity for all events hosted at the Education Center, the Catering Kitchen is a crucial facility. Volunteers are at the heart of all Arboretum activities, so this will be the hub of every facet of the Arboretum's outreach. A quiltwork of wood veneers from trees around the world will create a very special feature. Donors of $5,000.00 and more will be recognized on a plaque on permanent display in the Education Center. Names of all contributors of $500.00 or more will be placed in a ledger of donors in the Education Center. Mary Caldwell (left) and Marie Bumgarner (right) cool off on the field trip to DSBG. Happy summer! The garden is buzzing with bees and busy volunteers participating in all sorts of activities that make the Arboretum even better. Nancy Margaret Brodd wishes you to know that she misses seeing you all. She and her husband, Bob are now the happy and proud parents of a beautiful baby girl, Bailey Anne, born June 26, 2001. Nancy Margaret, you certainly are missed, especially since this is the high season for garden activities! Did you receive your Volunteer Newsflash? The next six months are packed full of JCRA activities that include many volunteer opportunities. My solution to getting the word out is via a monthly Newsflash! My intention is that each active volunteer gets the word and can choose volunteer activities! Please take the time to contact us. This saves valuable volunteer time spent contacting you! Did you not receive your Volunteer Newsflash and want to volunteer? Please call me at (919) 515-3132 or via e-mail <frankie_fanelli@ncsu.edu>. Read on to see what you are missing! Mitzi Hole, Research Technician, presents a special plant to Viv Finkelstein (left) for her outstanding contributions as a volunteer. 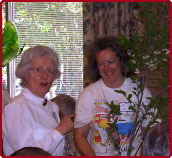 If you missed the annual volunteer luncheon held April 24, 2001, then you missed good food, outstanding companionship, and probably a new plant for your collection. Sixty-six volunteers attended the lunch along with the JCRA staff. Nancy Margaret opened the gathering with warm words of thanks and sad words of farewell. The top volunteers for 2000 were then recognized (see listing) for sharing so much of their personal time and talents. Mitzi Hole and her crew did an outstanding job of providing a healthy supply of plants for door prizes. And, I do mean prizes as most of the volunteers in attendance received a plant. Bob Lyons provided some most unusual tender perennials. Bob and Todd Lasseigne expounded the virtues of each plant prior to each drawing. Their commentary not only provided entertainment but also imparted knowledge about some unusual plants. A number of volunteers were observed penciling in plants on their plant "wish" list! Our spring fun continued with a field trip on May 8, 2001 to Daniel Stowe Botanical Garden <www.dsbg.org>. Forty-seven volunteers and staff boarded a luxury coach (coordinated by Beth Jimenez) and headed for Belmont, NC. Dan Rhoades, Director of Education and Research, graciously coordinated our visit while our own Doug Ruhren was our tour guide extraordinaire! We will always claim Doug as our own, since he was formerly the Perennial Borders Co-curator. He is currently Head Gardener for DSBG and, I might add, is definitely in his element! Doug generously spent the entire afternoon with us...thank you, Doug! One of the special benefits of volunteering at the Arboretum is getting to know others who share your interest in plants as well as in the JCRA. So much is learned from one another. The best example of volunteer sharing was the second annual volunteer-to-volunteer garden visit initiated and coordinated by Amelia Lane, Mixed Border Curator. In May, 26 of our volunteers invited fellow volunteers to visit their gardens. Thanks to all who participated and special thanks to Amelia for putting in the extra effort to make it happen! As the JCRA continues to grow so does its popularity. The increased visibility brings in more and more requests for our presence plus there are more happenings at the Arboretum that need volunteers to interact with the public. The primary task at hand is talking with folks about the Arboretum. Volunteer Ambassadors will represent the JCRA at events such as trade shows, JCRA programs, and other community events. At most events, we will be promoting membership and may have apparel available for sale. Orientation will be scheduled so please do not think that you do not know enough or have not been around for long enough. This volunteer opportunity is for those that are excited about the Arboretum and want to help secure its future! Contact Frankie Fanelli at (919) 515-3132 or <frankie_fanelli@ncsu.edu> for more information. Contact Frankie Fanelli at (919) 515-3132 or <frankie_fanelli@ncsu.edu> for details. Doug Ruhren, Head Gardener at Daniel Stowe Botanical Garden, talks to volunteers enjoying the spring field trip. 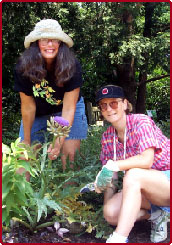 Photograph by Christopher Todd Glenn Susan Cheatham (left), White Garden Curator, and Gail Harris (right), Gardener, showing off Cynara cardunculus (cardoon).